‘Vegetables are key to the way Italians eat, yet in most Italian cookery books they play second fiddle to meat and fish dishes. That is why I really wanted to write this book – to celebrate vegetables and make them the star attraction rather than simply the supporting cast. The dishes I have chosen are full of flavour, easy to prepare, good for you and extremely satisfying’. In Veg Italia!, Gino shares his vegetarian recipes for pasta and gnocchi, pizzas and breads, antipasti and salads, soups and bakes – the possibilities are endless. Gino’s Veg Italia! is the healthy way to eat like at Italian. 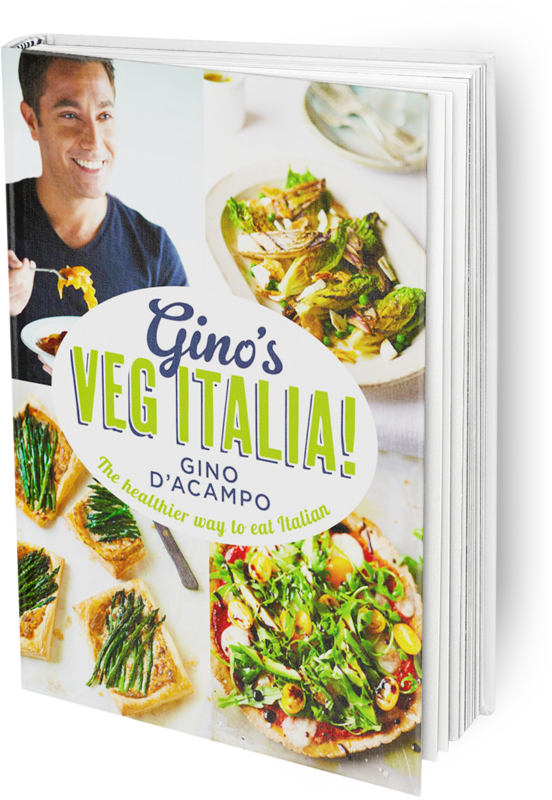 Click below to buy Gino’s Veg Italia! or to view recipes from Gino’s Veg Italia.